The rich legacy of the Arts and Crafts Movement has been enthusiastically hailed by historians, architects, and designers. Most known for its influence on architecture and art, the movement also played an important role in the garden world by defining the garden as a harmonious component of the home. 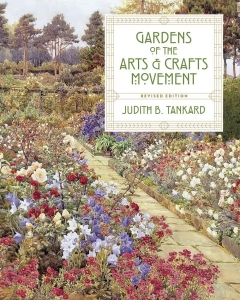 In Gardens of the Arts and Crafts Movement, Judith B. Tankard surveys the inspirations, characteristics, and development of garden design during the Arts and Crafts Movement. Tankard presents a selection of houses and gardens from the era, with an emphasis on the diversity of designers who helped forge a special approach to garden design. Illustrated with nearly 300 illustrations and photographs and packed with examples from Europe and North America, this is an essential resource for designers and gardeners interested in the era. A thorough revision of Judith B. Tankard's highly praised study of gardens from the Arts and Crafts movement - a style that remains popular more than a century after it began.